Treat yo’self to the skilled, artful hands of the sushi chefs at Kaigen Japanese Restaurant & Sushi Bar. Yes, Kaigen offers crowd-pleasing rolls, chicken teriyaki and tempura, but the real draw here is the omakase: a series of dishes that change daily based on a variety of fish coming from the iconic Tsukiji fish market in Tokyo. For $31, you get nine pieces of sushi omakase, tekka maki (tight, nori-wrapped rolls of tuna), rich miso soup and a side salad—or pay just $12 more for 13 pieces of sashimi, miso soup and steamed rice. 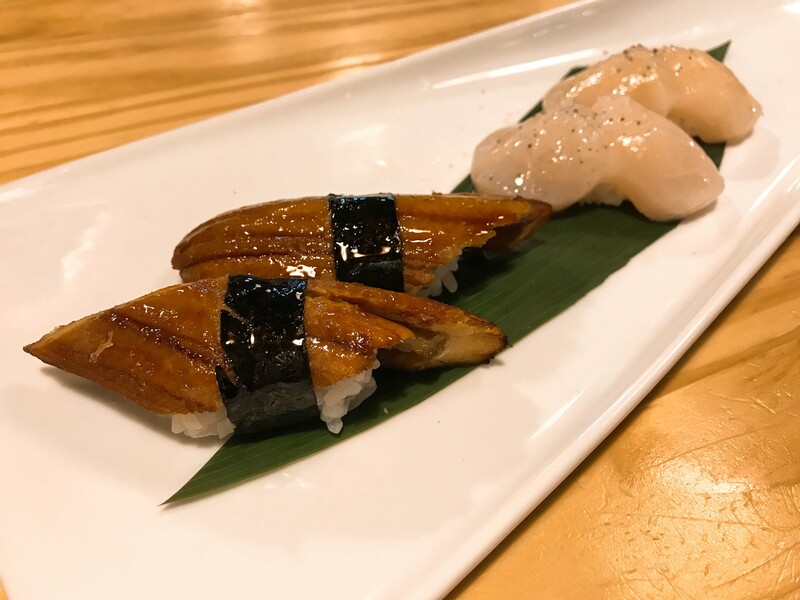 Selections of fantastic nigiri can include toro, yellowtail, sweet Hokkaido scallop, sea bream and buttery amberjack belly. 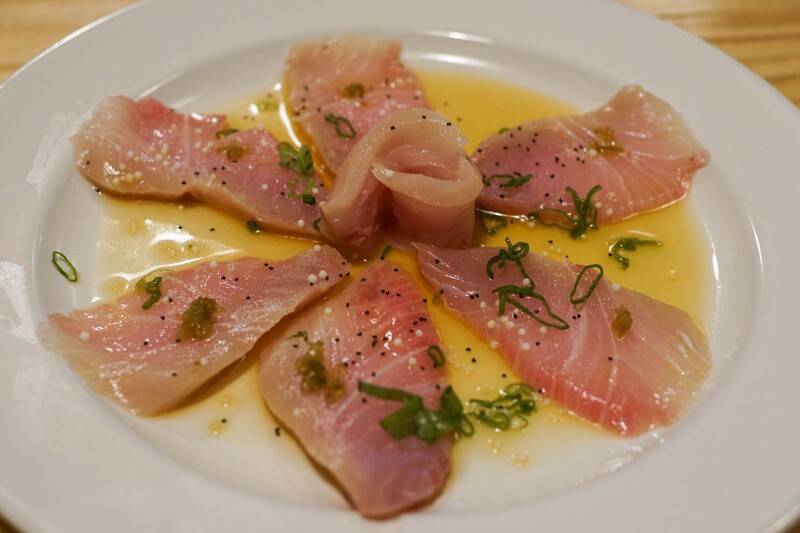 If you’re coming in famished, start with a sashimi dish such as thinly sliced hamachi dressed in tangy ponzu and spicy yuzu kosho. The fermented Japanese paste made from fresh chiles and tart yuzu (a fruit that grows in East Asia) gives the dish a robust citrus flavor. Then there’s the spicy garlic salmon: sashimi wrapped around crisp daikon radish and drizzled with chile oil; the garlic ponzu cuts through the generously portioned slices for an extra kick. During lunch, gyudon beef bowls (think Yoshinoya) offer steamed rice topped with sweet and savory beef and onions simmered in fragrant dashi stock, soy sauce and mirin (sweet rice wine). Salmon-lovers should go for the sake don, fresh salmon sashimi served over warm rice and garnished with slivers of red onion and scallions. Udon, comfort in a bowl, is also available, with plump, chewy noodles in a lightly flavored kakejiru soup that comes with two large pieces of crispy shrimp tempura, green onions, nori and fishcake (offered hot or cold). Kaigen has a full lineup of premium sake and Japanese drafts, including Kikusui Junmai Ginjo, light and fruity with notes of refreshing cantaloupe, and Koshihikari Echigo, a rice lager made from Koshihikari short-grain rice. Pair these with bites such as grilled salmon collar; takoyaki, a ball-shaped Japanese snack made of a wheat flour-based batter and filled with minced or diced octopus (tako), tempura scraps (tenkasu), pickled ginger, and green onion; and fried soft-shell crab. The Kurosawa Junmai Kimoto sake blossoms with earthiness when served warm, and the well-balanced Onikoroshi Daiginjo sake stands up to richer dishes. The sushi chefs here offer a creative, personalized menu based on what’s fresh that day—no picky eaters allowed! Kaigen Japanese Restaurant & Sushi Bar, 1736 N. Tustin St., Orange, (714) 974-7723.